Call Flue Steam for thorough, professional exhaust duct cleaning in Calabasas CA. How long has it been since your last exhaust duct cleaning? 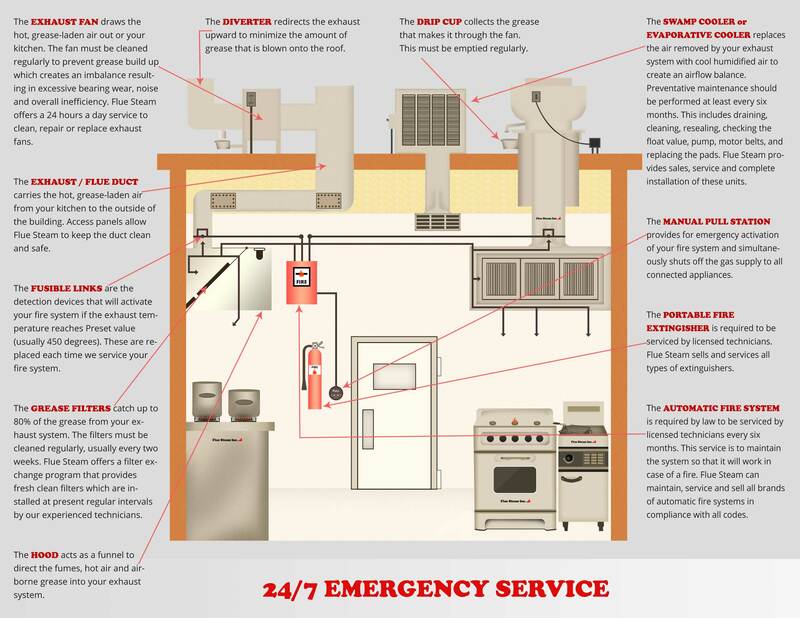 If you can’t recall, you may be putting your kitchen at risk of a grease fire in the exhaust system or at very least a fire code violation. To eliminate fire hazards, ensure code compliance, and restore your peace of mind, call Flue Steam. We can provide the professional exhaust duct cleaning in Calabasas CA you need to keep your kitchen safe. We have a 40-year history of excellence in this industry, and you can be confident that our professional, certified exhaust duct cleaning technicians will keep your ducts up to our high standards of cleanliness. At Flue Steam, we offer two types of exhaust duct cleaning in Calabasas CA to enable our clients to get the frequent cleanings they need without breaking their budgets. Steam Cleaning: Steam cleaning is a more thorough service that can remove grease where our employees’ can’t reach with the hand scraper tool. Depending on the type and volume of food you cook, you may need steam cleaning quarterly or semi-annually. Are you tired of relying on a tech’s word alone for assurance that an exhaust duct cleaning in Calabasas CA was effective? At Flue Steam, we can measure grease buildup before and after service using an IKECA comb, to show you exactly how much grease your system had accumulated and how much we removed. 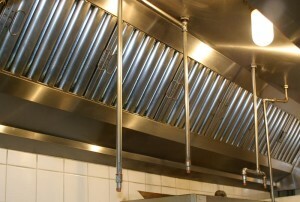 Using this tool, we can help tailor the frequency of your cleanings to the specific needs of your commercial kitchen. Are you ready to schedule an exhaust duct cleaning in Calabasas CA? All you have to do is call or click. We’ll make sure you get your service at a time that’s convenient for you.